A missing tooth not only affects your confidence, but it can compromise the health of your smile. With dental implants, you can restore normal function and appearance to your teeth. To have a personalized consultation about your needs, visit 601 Dental Studio PA in Pembroke Pines, Florida. (servicing surrounding areas such as Miramar, FL., and Cooper City, FL.,), Dr. Nadja Horst provides comfortable and durable dental implants, as well as other general and cosmetic services. Get started today by booking your first appointment online or calling the office to speak with a dental expert. Dental implants deliver a permanent solution to missing teeth. They are small posts constructed of titanium or other durable materials that Dr. Horst surgically places into the empty socket of a missing tooth. Over time, the implant fuses permanently to underlying bone, so Dr. Horst can attach a crown or an artificial tooth to it. Whether you’re missing one or all of your teeth, dental implants are designed to give you superior results by emulating the look and feel of your natural teeth. During your initial consultation, Dr. Horst discusses your desired outcome and performs a full oral examination to determine the best technique for your needs and goals. You need adequate bone density to have successful dental implantation. Once this process is complete, Dr. Horst fits you with a custom-made, permanent crown, designed to offer the most comfortable, natural, and precise fit possible. By choosing dental implants, you enhance your smile in several ways. Dr. Horst uses some of the most advanced techniques, materials, and technologies to help ensure exceptional results and an unparalleled experience. Dental implants can also reduce your risk for future dental complications, such as additional tooth loss or facial bone loss. Furthermore, your implants won’t slip or slide in your mouth, a common concern associated with impermanent or removable tooth replacement options. Dental implants are designed to be so natural that you may forget any or all of your teeth are artificial. Furthermore, when placed with skill and properly cared for, dental implants can last for decades or, as is the case for many people, for life. 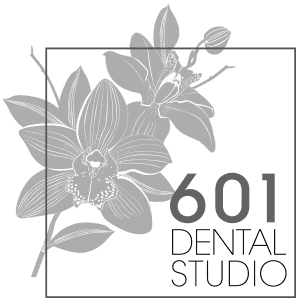 If you would like to learn more about how dental implants can restore missing teeth, contact 601 Dental Studio PA today. Call to schedule a consultation or book one online with the one-click appointment tool.